The entire staff would like to thank our parents for a thoughtful act during this morning’s leaver assembly. 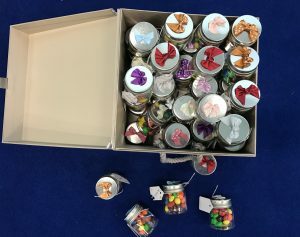 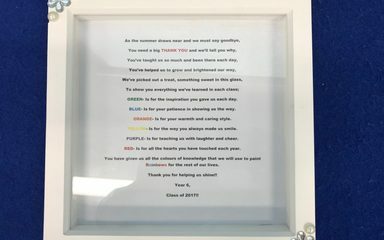 Emotions were running high as we unwrapped the framed montage of our leaver’s names and we were completely overwhelmed by the individual gift jars for each of us. 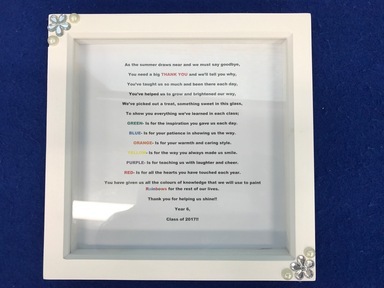 The framed poem, explaining how each colour bean represented a different attribute bestowed by the staff upon the children, proved difficult for Mr. Harris to read out.